For any business to prosper, whether it be a small start-up or a global conglomerate, instigating a good ethic of teamwork is absolutely essential. Having good teamwork in a company can improve morale, build productivity and ultimately result in a happier, more effective and ultimately, more successful workforce and business. But it’s all well and good talking about the fact that workplace teamwork is important, but how can it be improved? It needn’t be about arranging bowling trips or playing trust games, there is a lot more that can be done. Here, Emma Evans in collaboration with Cornerstone highlights how to improve teamwork in the workplace. One of the best ways to encourage teamwork in the office is to make your office conducive to teamwork. That does not mean making everybody be in at the same time every day, sitting at the same desk, in the same routine. In fact, it’s quite the opposite. By allowing employees the flexibility of hours and flexibility of location inside and outside the office, you can cut down on tensions and promote communication and collaboration. Office search experts, Cornerstone state that: “trends from the 80s with rows of private cubicles have been swapped for open plan layouts for all teams to collaborate”, helping to level hierarchies within the office and promote teamwork. By catering for both individuals and workplace collaboration, a business can both promote teamwork when it is needed and allow people to have time for themselves when they need it. 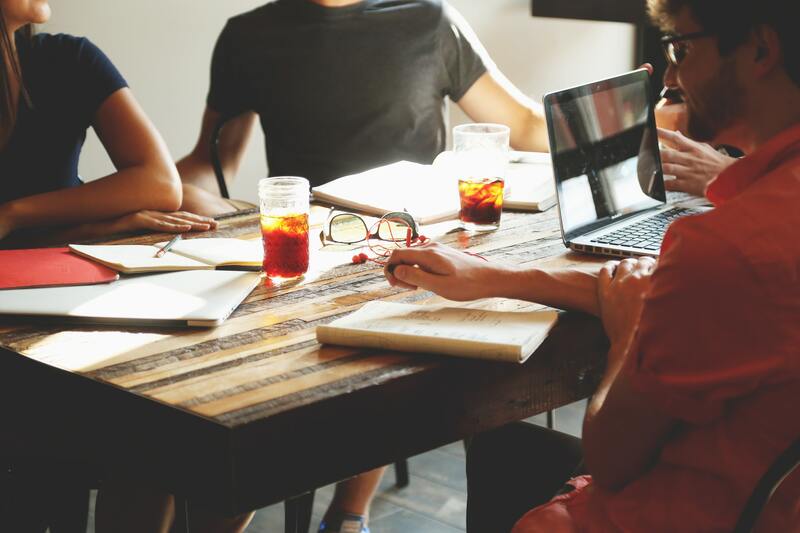 Collaboration is vitally important for success, in fact, studies have shown that 86% of the workforce attribute ineffective communication or collaboration to workplace failures. So, it might mean hot-desking, shared spaces, flexible spaces or huddle areas, for example, are a good way to help employees to be both productive in terms of their individual workload, as well the teams. “Do as I say and not as I do” is one of the most infuriating ethos’s in the workplace. It is also an attitude that has one of the highest complaints. If you are trying to promote teamwork in the office, the best way to do it is to lead by example. Try to inspire good communication by talking through any issues – and most importantly, listening to what other people have to say. If you hate being micro-managed, avoid micro-managing – research by Queens shows that the best way to get results from Millennials (who now, according to their study, makes up around 46% of the workforce) is to set them a task, set your expectations of them, then sit back and let them get on with it. This will keep them happier, feel trusted as part of the team and more productive. There’s no better way to encourage teamwork than to have people working for each other, because they like, respect and understand each other. Encouraging communication can mean collaboration is made easier through the workspace, through an employer’s behaviour or by having a communications policy – giving information about regular meetings, how to talk to each other (especially if there is a mixture of technical and non-technical people or native English speakers and non-native English speakers, for example). You can also try to encourage people to talk openly and share ideas without feeling nervous, embarrassed or worrying about being laughed at. Not only can this make your team more effective, but it also builds up a level of trust and respect within the team. It is also a good idea to meet regularly to discuss matters of the project, but also to resolve any conflicts that might come up. Keep these interesting by changing the location, buying tea, coffee or snacks or doing small team building exercises if you meet resistance. Walking hand in hand with communication, it is important that employees are clear about who they are in their job, what they are supposed to be doing and what their goals are. It is also important to make it clear what other people’s specific roles are to avoid resentment or wrongful delegation. Setting project and individual goals is a good way to do this. It also gives motivation to those in the team to work together and achieve their purpose. Whilst we never want to work to completely take over our lives, meeting up on social occasions will promote teamwork. By knowing more about each other, employees will respect, trust and maybe even like each other, encouraging a `team` feeling. Regular and informal meetings can be great for morale and team building – even if it’s just going out for a coffee or drinks after work. Try to celebrate achievements – this will both reward good teamwork as well as encourage it. It can be especially useful to celebrate teamwork achievements, not just business goals. Promoting teamwork within a business is an important issue and is something which is instigated through the whole culture of a company – from the office layout to social events. Encouraging employees to engage with teamwork will result in a happier, more fulfilled workforce, as well as more success for the business. More on managing staff and improving workplace productivity. Previous Post: Profitability mistakes to avoid for your small business Next Post: Expert answers: How do I record refunds given to my clients?